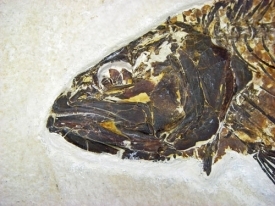 KNIGHTIA, DIPLOMYSTUS, MIOPLOSUS FOSSIL FISH FROM WYOMING GREEN RIVER FORMATION. 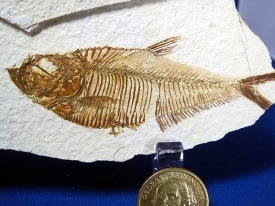 EXCELLENT SKELETAL DISPLAY OF 50 MILLION YEAR (EOCENE EPOCH) OLD FISH! 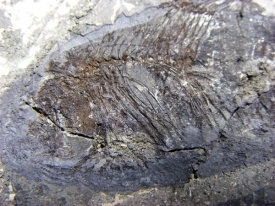 MANY OF THESE ANCIENT FOSSIL FISH WERE DEPOSITED IN AN 18 INCH STRATA LAYER, WHERE THEY ARE COLLECTED TODAY. 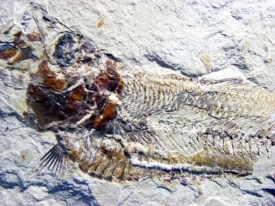 IT IS AMAZING THAT EVERYTHING WENT JUST RIGHT TO HAVE THIS WONDERFUL FOSSILLIZATION. 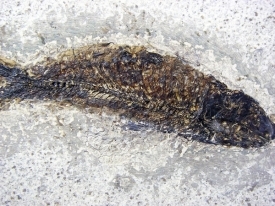 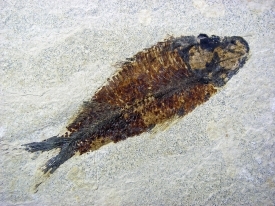 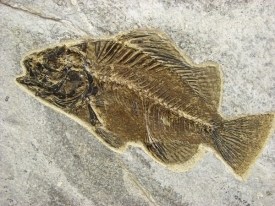 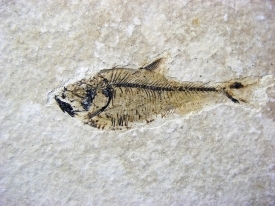 GOSIUTICHTHYS PARVUS FOSSIL FISH WERE SCHOOLS OF SMALL FISH THAT ALL DIED TOGETHER (MASS MORTALITY). 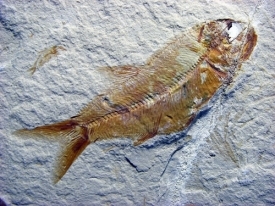 THEY ARE FROM THE WASATCH AREA IN THE GREEN RIVER FORMATION. 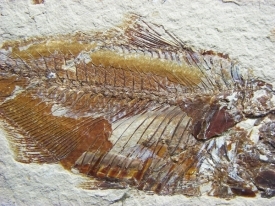 THE JIANGANICTHYS FOSSIL FISH ARE FROM THE HUBEI FORMATION, HUBEI PROVINCE, CHINA. 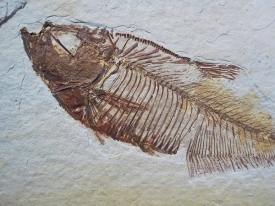 THEY ARE FROM THE OLIGOCENE EPOCH (30-40 MYA). 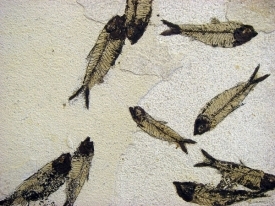 WELL PREPARED BY THE CHINESE ARTISANS. 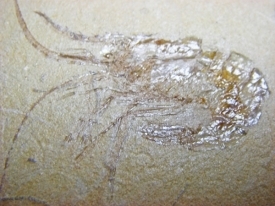 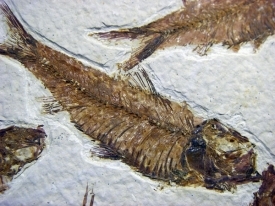 LEBANESE FOSSIL FISH AND SHRIMP ARE FROM THE HAJOULA/ HAQEL, EN NAMMOURA, LEBANON LOCATIONS. 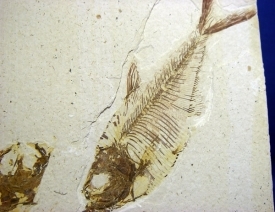 PRESERVED DURING THE CRETACEOUS PERIOD, 100-98 MYA. 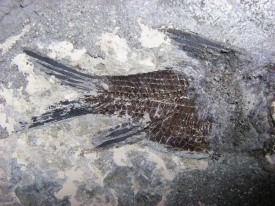 SOFT TISSUE WAS ALSO FOSSILIZED AT THIS SITE! 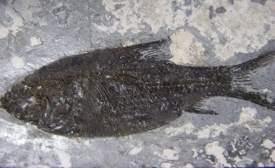 THESE FISH ARE HARD TO OBTAIN DUE TO CONDITIONS IN LEBANON. 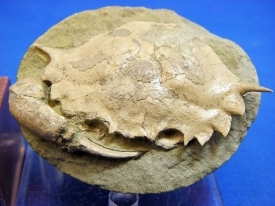 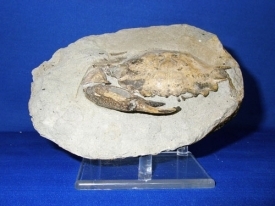 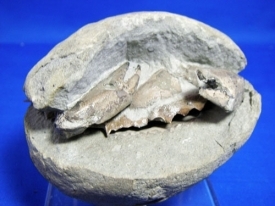 FOSSIL CRABS, LAMAZUMILA AURACANA, FROM ARAUCO BASIN, LEBU, CHILE, ARE 20-35 MYA. 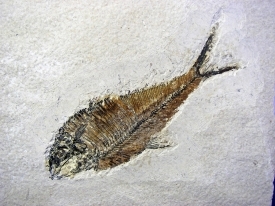 ALL OF THE ABOVE LISTED FOSSIL FISH LOCATIONS ARE KNOWN AS FOSSIL-LAGERSTATTEN, WHICH TRANSLATES FROM GERMAN TO MEAN "STORAGE PLACES". 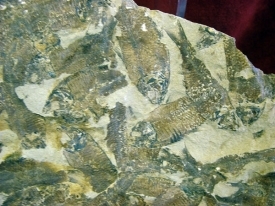 THESE NATURAL SEDIMENTARY DEPOSITS CONTAIN EXCEPTIONALLY PRESERVED FOSSILS DUE TO THE CONDITIONS OF THE WATER THESE FISH LIVED AND DIED IN. 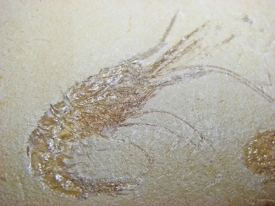 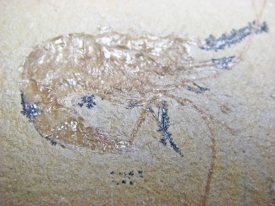 TAKE A LOOK AT THE FANTASTIC CONDITION THEY ARE IN BEING 30-150 MILLION YEARS OLD! 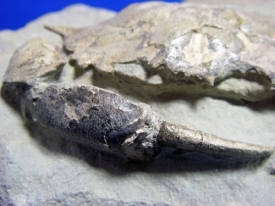 ALSO CHECK OUT MY AMMONITES, NAUTILUSES, SHARK TEETH, TRILOBITES, ORTHOCERAS (SQUID), AND CRINOIDS FOR SOME MORE INTERESTING FOSSILS. 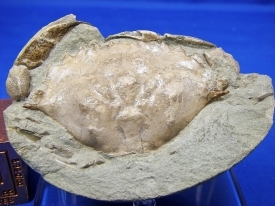 CLEAR ACRYLIC STAND FOR LARGE AMMONITE HALVES AND OTHER DISPLAYS. 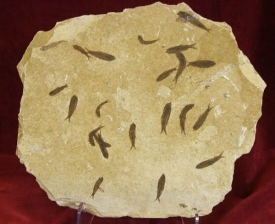 SIZE: 4 3/4" X 4" X 4 3/4" INCHES. 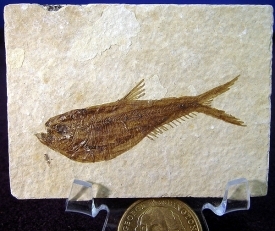 LARGE PLEXIGLASS SPECIMEN STAND. 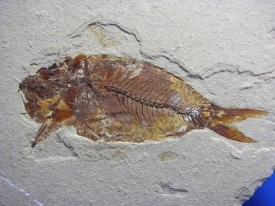 SIZE IN INCHES: 12 H X 8 1/2 D X 7 W.
ADD SLAB STAND-2 TO THIS ORDER. 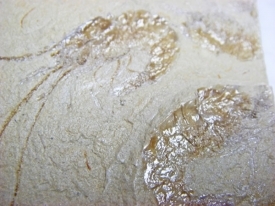 CLEAR ACRYLIC STAND FOR SMALL AMMONITE HALVES, SLABS AND OTHER SMALL DISPLAYS. 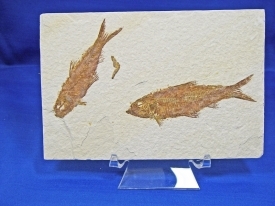 SIZE: 2 1/4 W X 2 1/4" D X 2" H.
CLEAR ACRYLIC STAND 4" W X 3 3/4" D X 3 1/4" H. GREAT FOR LARGER AMMONITES AND SLABS. 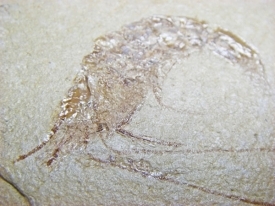 ADD LONG LEG-6 TO THIS ORDER. 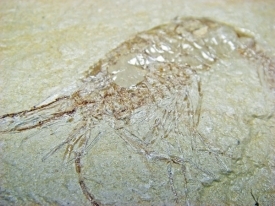 CLEAR ACRYLIC STAND WITH WIDE HOLDING AREA. 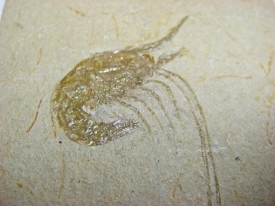 SIZE IS 5 X 5 X 6 H INCHES. . 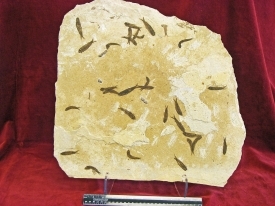 WONDERFUL DISPLAY FOR SHIVA STONES, OR LARGER SPECIMENS. 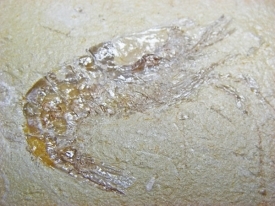 CLEAR ACRYLIC EASEL STAND FOR LARGE AMMONITE HALVES, FOSSIL FISH AND OTHER DISPLAYS. 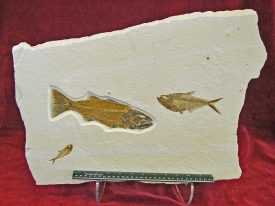 SIZE: 3 1/2"W X 5 1/2"D X 5 1/2"H INCHES. 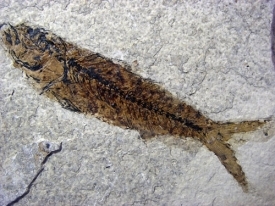 KNIGHTIA FOSSIL FISH #MM23 MASS MORTALITY. 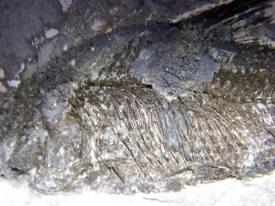 KNIGHTIA FOSSIL FISH #MM25 MASS MORTALITY.